Estimates suggest that there are approximately 20,000 cases of snakebite in Nepal every year causing about a thousand deaths, but one Nepalese farmer tried to turn the tables. Hello friends, this is Doug Batchelor. How about an amazing fact? Estimates suggest that there are approximately 20,000 cases of snakebite in Nepal every year causing about a thousand deaths, but one Nepalese farmer tried to turn the tables. When Mohammed Salmodin was bitten by a poisonous cobra in August 2012, he captured the viper and then bit it back until he killed it. Then he went about his normal business. Evidently, a snake charmer had told Mohammed if a venomous snake bites you, just bite it back until it dies and the venom will not harm you. His family eventually changed his mind and took him to the hospital where he was treated and discharged. Did you know the Bible mentions another very unusual cure for snakebite? Stay with us friends. We're going to learn more as Amazing Facts brings you this edition of Bible Answers Live. Pastor Doug Batchelor: Welcome listening friends to Bible Answers Live. As you have probably gathered from the title of this program it’s just what it says. We answer Bible questions live. If you have a Bible question, please give us a call. It’s a free phone call, 1-800-GOD-SAYS, that’s 1-800-463-7297. And yes, we do still have some lines open. One more time that phone number, are you ready? 1-800-463-7297. My name is Doug Batchelor. Pastor Jëan Ross: My name is Jëan Ross. Good evening listening friends and Pastor Doug. Let’s begin the program with prayer. Dear Father, we thank You for this opportunity that we have to study Your Word. We ask Your special blessing upon this program. Be with those who are listening wherever they might be, and we do pray for wisdom as we search Your Book for answers. For we ask this in Jesus' name, amen. Pastor Jëan Ross: Pastor Doug, you opened the program by telling a rather remarkable instance where someone is bitten by a snake and then, in turn, they bite the snake. Pastor Doug Batchelor: I guess he believed in that verse a bite for a bite and eye for an eye or something like that [chuckles]. Pastor Jëan Ross: Tooth for a tooth. Pastor Doug Batchelor: But it’s one those many superstitions that some folks believe. He had been told that just bite the snake back, kill it and it will render his venom harmless. But it made me think of another interesting story where a snakebite was cured in an unconventional means. You find this, it happens in the book of Numbers, chapter 21. God told Moses to make a bronze serpent, put it on a pole, lift it up where everyone could see it, and then whoever looks at this serpent on the pole would live. A lot of people have wondered, "What did that mean?" Jesus, this is so important because the most famous verse in the Bible of course is John 3:16, "For God so loved the world, that he gave his only begotten Son, that whoever believes in him should not perish, but have everlasting life.” Most people don’t know what Jesus said just before that is similar. He said in John 3:14 and 15, “As Moses lifted up the serpent in the wilderness, even so must the Son of man be lifted up: that whoever believeth in Him should not perish, but have eternal life.” And a lot of people have thought, "Why would a serpent lifted up on a pole somehow be analogous of Jesus? Is Jesus like the serpent? The devil is often called the serpent there in the Garden of Eden. What does that mean?" I enjoyed reminding people that this was a nation of shepherds and a serpent that was up on a pole meant a dead snake. I used to live in the dessert and I had a snake stick and I’d see rattle snakes every now and then. I didn’t bother them unless they were on my trail. If they were in the cave where I lived or on the trail, I’d clobber them. But you don't just leave them because a person can actually step on the skeleton of a snake skull and still get venom and get hurt. You pick it up with a stick, you carry it off somewhere and you bury it. So it was common for shepherds to carry a stick. And the other thing, sometimes you clobber a snake, you think they're dead and they're very tenacious. They’ll snap around and bite at you and so you carry it off with a stick. So that serpent lifted up on a pole meant a defeated serpent. Jesus up on the cross reminded us that He was able to neutralize the venom of the devil, what sin has done in our lives. When we look in faith to the cross, we can be saved from sin. So that’s what this was really talking about. Now, I’m just giving people a sound bite--pardon the pun--of this subject about what does that serpent represent, what did Jesus mean by these words. But we have a free offer tonight that we’ll give anybody that asks. It’s a new book. Pastor Jëan Ross: The book is entitled, The Saviour and The Serpent, and it explores this idea of Jesus bearing our sins and dying in our place and providing the cure for sin. If you'd would like to receive this book, give us a call on our resource line. The number is 1-800-835-6747 and you can ask for the book, The Saviour and The Serpent. 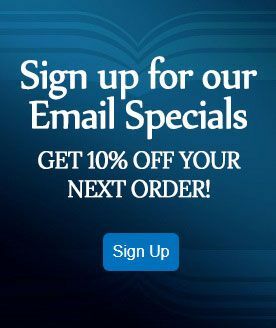 We’ll send that to you for free. Also, those of you who are close to your computers and would like to join us via the Internet we are streaming the program this evening. You want to go to Live.AmazingFacts.org. There is no "www" before that, just Live.AmazingFacts.org. You’ll be able to join us here in the studios. We're going to go to our first caller this evening. We have Tim who is listening in Kansas. Tim, welcome to the program. Pastor Doug Batchelor: Hi Tim, you're on the air. Tim: Hi Doug. I’ve read your book and I really appreciate where you came from. I came from similar situation and I'm really trying and change my life around. I had a question that has been a problem for both my girlfriend and I because we want to please God. Well my question is, what’s God’s stance on sending intimate pictures of your girlfriend, spouse or wife and vice versa? And why does He stand for that? Pastor Doug Batchelor: Well, obviously, you mean sending them to each other? Tim: Yes, yeah. We're in a long distance relationship and we’ve had a sexual relationship; and we just want to know how best to handle this situation because I wanted to know what Scripture has to say about it. Pastor Doug Batchelor: Well you're saying, first of all, that you're not married now? Tim: No, we are not. Pastor Doug Batchelor: Okay. Well you know that the intimate part of marriage is supposed to be reserved--I’m old fashioned that way--until after marriage. So you wouldn’t want to get yourself all agitated by sending each other pictures. I’d try and encourage the nobler aspects of your relationship and save the other for after the wedding. Pastor Doug Batchelor: And the other thing is, soon as you take a picture of something and you put it on the Internet, boy those things have a way of leaking out. I don’t think that’s a good idea. I’d take the mental pictures after the honeymoon and just be content with that. Tim: Okay. But are there any like Scriptures or anything that you can point me to so I could study up on, you know, what you're talking about with that because I’m a new Christian myself. Pastor Jëan Ross: We do have a study guide if you, or anybody who's in a relationship wanting to know what God’s ideal is, especially in a marriage relationship, we have a study guide called, Keys for a Happy Marriage. It’s filled with Bible verses and passages from Scripture which explore this wonderful relationship of marriage and what does it mean from a biblical perspective. So Tim, if you’d call our resource line, or for anybody wanting to learn more about the subject, you can call and ask for the study guide, Keys for a Happy Marriage, and we’ll be happy to send that out to you. Pastor Doug Batchelor: You know, also, if you go to our website, there’s a sermon there. Obviously you're not going to find a Scripture that talks about texting pictures because it’s fairly new technology. But there’s a sermon that you’ll hear free at the website and it’s called, Purity and Power. That of course is just AmazingFacts.org; but yeah, one of those modern, relevant questions people might ask. Thank you Tim. Pastor Jëan Ross: Our resource line is 1-800-835-6747. And again, you can ask for the study guide called, Keys To A Happy Marriage. Our next caller is Lee and he's calling from North Carolina. Lee, welcome to the program. Lee: Thank you. How are you? Pastor Doug Batchelor: Good. How is the weather holding up back there? Lee: Oh, it’s fine. Just fine. It’s a bit breezy. Pastor Doug Batchelor: Storm hasn’t come in yet? Lee: ...when He sacrificed His life? Lee: He was 33 old, so what do we call those years? Pastor Doug Batchelor: Well, that would actually be the time of Christ. Now, historians are drifting away from calling things A.D. and B.C. We used to always call it anno domini, or the Year of our Lord, and B.C., we refer to it as Before Christ. Prior to that dating technique that really was developed about 300 years after Jesus, all of history was dated during the reign of different kings and emperors, and you can even see that in the Bible. It will say in the first year of Darius, and the sixth year of Nebuchadnezzar, and the fourth year of Josiah or whatever, and so you had to always correspond the different reigns of the king of Israel with the king of Judah and the Persian or Assyrian kings, very confusing. So they developed a universal dating method. But the actual time when Jesus lived of course is A.D. because it’s really after His birth. So anno domini doesn’t mean after death. It means the Year of our Lord. Pastor Doug Batchelor: They tried to calculate the year of Jesus’ birth and they picked what we now think of as the year one; but then they found out after they established that it was sort of universally accepted, they were about four years off because they know that Herod the Great, the king who killed all the babies in Bethlehem, Herod the Great died in 2 BC. We know Jesus had to be alive before Herod the Great died. Jesus was baptized when He was 30, and that was 27 B.C. Pastor Doug Batchelor: I’m sorry, 27 A.D. Thank you. And so now we know that Jesus was born a couple of years before Christ. That sounds strange, but really it’s true. He was born about three and a half years before the year zero or that zero point. But everything after that was called anno domini or the Year of our Lord and, of course, from His birth on would be the Year of the Lord. Hey, we've got something interesting to tell you Lee, and anyone who's interested in time. Pastor Ross and I were talking just before the broadcast. Amazing Facts has been working about 11 months now on a special project called a Bible Timeline that will be available on the internet and for iPods around the world, that you can just look up any Bible history and see a visual of Bible history and the characters. We're very excited about that project. We’ll tell you more when it’s ready for release. Pastor Jëan Ross: Yeah, that’s an exiting project Pastor Doug. Just the volume of information that's going to be available on this website, it's going to be just fantastic. Pastor Doug Batchelor: We didn’t know what we were getting into, did we? Pastor Jëan Ross: It’s a lot of work. Pastor Doug Batchelor: But we're committed to see it through. Pastor Jëan Ross: So we’ll let folks know about that when we get closer. Our next caller is Darryl and he's listening from Florida. Darryl, welcome to the program. Pastor Doug Batchelor: Yes. So, was Jesus saying that the disciples wouldn’t be finished visiting and preaching all the cities of Israel? By the time they finish that circuit He would have returned. 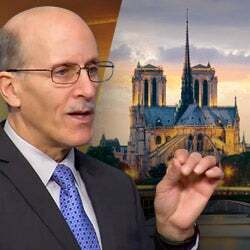 Pastor Doug Batchelor: Did they still not finish it and what is meant by that? You know, I think that the Lord was telling us that there is plenty of work to do. And for one thing, in the lives of the apostles, they never did get to complete their work in preaching throughout the cities of Israel. A great prosecution arose right around the time of Stephen's stoning. You find it in Acts chapter 8, I think first verse. It says at that time a great persecution arose and the disciples were scattered everywhere. When Paul came back to preach in Jerusalem they arrested him. Then, of course, the Romans conquered the city. I think than when Jesus makes this statement, He’s thinking about Israel in the broader sense. He’s not just thinking about the zip codes in Palestine or the zip codes in the land of Israel. I think Jesus was talking about international Israel because, according to Paul, he that is Christ's is Abraham’s seed. Pastor Jëan Ross: I think also it emphasizes, Pastor Doug, that there is still a work to be done with literal Israel, with the Jews. There are many that have never fully understood the Gospel. I had to explain to them and there’s a mission field there just like there is in any other part of the world. Pastor Doug Batchelor: It explains what it happened, yeah. Pastor Doug Batchelor: Jerusalem. Well, in Matthew 24, and I’ll just have to summarize this. By the way, go to my Facebook page. I’d like to hear some of your music. I like guitar. But in Matthew 24, Jesus is not just answering the question about when will the destruction of Jerusalem be. He melts together His answer; what happens to the Jews is also symbolic of the world. So in one answer, he coalesces what is going to happen in Israel, plus similar things. History will repeat itself in what is going to happen to the world. So when Christ is talking about, You’ll not have gone over the cities if Israel, I think He's speaking of Israel in the broader sense. I’ve got a book. You may have already read it but it’s called, Spiritual Israel; and it talks about all the proof texts that Israel is more than just literal Jews. Pastor Doug Batchelor: We need you get out on the road. It sounds like you're well studied. Darryl: Well no. I mean I have a long way to go. That’s why I always, you know, I keep studying with you guys and studying my Bible and all. Pastor Doug Batchelor: Well, we appreciate it Darryl. Hey, thank you. Send me a link. I’d like to hear some of your music some time. Darryl: Absolutely. Well I emailed you at deb@amazingfacts.org and I didn’t hear back so maybe that email was no good anymore. Pastor Doug Batchelor: No, it’s still good. Probably got lost in my secretary's--but I’ll blame her. Pastor Doug Batchelor: But I’ll watch for it again. Pastor Doug Batchelor: All right. Hey thanks a lot. Pastor Jëan Ross: Our next caller is Glen and he is listening from Stockton, California. Glen, welcome to the program. Glen: Good evening, hi. I have a question and I’ve looked everywhere for it. It’s in regards to the war in heaven. I believe that it was, well, it happened well before we were created; but then there are people that, of course, have the other belief that it happened after we were created. Where are the resources I can find in the Bible? And do you have any book or books on this that I can look up because I do look up on the internet quite a bit. Pastor Jëan Ross: It’s on YouTube too. Pastor Doug Batchelor: Yeah, it’s on YouTube. I think someone broke it up and put it on YouTube, I was just going to say. It's called, Cosmic Conflict. It talks specifically about the sequence--and it gives a lot of Scripture--the sequence of the rebellion of Lucifer, his being expelled from heaven and the creation of our world. And yes, I do believe that the Bible makes it pretty clear he was cast out of heaven before our parents fell and before our world sinned. Ultimately, he was restricted here, but I do believe the war in heaven happened before our world was created. Pastor Jëan Ross: You know, the passage that speaks on this is, of course, Revelation chapter 12. You can read over there in verse 7 where it says, “And war broke out in heaven: Michael and his angels fought with the dragon; and the dragon and his angels fought, and they did not prevail; nor was place found for them in heaven any longer and they were cast out." So that’s Revelation chapter 12, verse 6 through to verse 9. Pastor Doug Batchelor: Saw Satan like lightning fall. Pastor Jëan Ross: ...and sort of bound to the earth at that point, and that, sometimes, is what confuses people. We have a book entitled, "Who is Michael the Archangel?" It goes into who Michael is and this war in heaven and explains a little more on that. We’ll be happy to send that to you for free, Glen, if you call our resource line. Pastor Jëan Ross: The number is 1-800-835-6747 and again, the book is entitled, "Who Is Michael The Archangel?" Our next caller is Fred and he is listening from Connecticut on WMCA. Fred, welcome to the program. Fred: Oh, yes. Good evening. Fred: Before I ask my question, I just wanted to mention we're bracing for Sandy here anyway. Fred: Yup. So yeah, keep us in prayer. Pastor Doug Batchelor: And for our friends listening, Sandy is a big storm. I don’t know if it’s categorized as a hurricane right now, but it’s a pretty big winter storm coming through the Atlantic. Pastor Doug Batchelor: Your question Fred? Fred: What makes a version authorized? Pastor Doug Batchelor: Alright, good question. The King James Bible was often called the authorized version, which was really a misnomer because it was never officially authorized. It was commissioned by King James because he was frustrated with the Geneva Bible. It wasn’t because of any great love for the Word of God, but he didn’t like some of the language and the explanations in the Geneva Bible and so they commissioned another Bible, but they had an excellent committee. So that was often called the authorized version, even though it wasn’t really voted through Parliament or anything. Then there are versions since then that have been authorized by--English versions I’m speaking of right now. You've got a version that’s authorized by the Catholic church, an English Version, the Douay Version. And then you’ve got the New English Version that was authorized by a number of evangelical churches. So it’s like churches endorse. Evangelicals in North America have sort of endorsed the NIV years ago. I would respectfully disagree with them. I’m reading the book right now on Bible translations, very interesting, the history of the English translation. So Fred, I hope that helps a little bit. The history of these books, some were never authorized, some were launched by publishing companies and they had great hopes and they just kind of fell flat. But we have a book we can send you, and it’s called, The Ultimate Resource. It talks a little bit about the history of the Bible. Pastor Jëan Ross: The number for our resource line is 1-800-835-6747. The book is entitled, The Ultimate Resource. We’ll send it to you for free. Next caller is Jim and he's listening in Las Vegas, Nevada. Jim, welcome to the program. Jim: I have a hypothetical question. Jim: ...did Satan, do you believe Lucifer maybe tried the same thing that he did on earth with these other creations, and finally it just got to the point where that’s why they had the rebellion in heaven? Pastor Doug Batchelor: Yeah, I think you’re on to something. I believe that Lucifer, after he was evicted from heaven for his rebellion, one-third of the angels followed him in his rebellion against God. I know it seems just mystifying to us that the creature would think to rebel against the Creator, but he had persuaded them that he could somehow be a better god than God was. And after all, Lucifer being probably one of the first and most powerful of God’s creations, was pretty awesome and just short of divine in his own right. So he challenged the authority of God and the goodness of God, persuaded a third of the angels to follow. They probably roamed through the universe for a while after they were kicked out of heaven seeking to recruit other support and I think it fell short until they came to our planet, and because our parents chose to listen to the devil instead of the word of God. When God said, “Do not eat the forbidden fruit,” and the devil said, “Go ahead, you can’t trust God. You’ll be like god’s.” When they doubted the word of God, the Bible says in Romans 6 whoever you obey that’s whose servants you are, Satan set up his headquarters here to carry out his campaign against heaven. So, yeah there are unfallen worlds that probably had the same opportunity. God’s intelligent creatures are free to follow Lucifer and they opted not to; whereas Adam and Eve and the human race chose to doubt God’s goodness and His character. So again Jim, you would probably enjoy that DVD we just referenced. You can get the full version at Amazing Facts, and it’s called, Cosmic Conflict. I understand it’s also on YouTube so you can see it there as well. Yeah, it’s a very interesting study, what happened to the angels. Of course angels are not born, angels were created. You can read in Ezekiel 28 where it talks about the creation of Lucifer. It says he was perfect in the day he was created. God didn’t make any mistakes. He made a beautiful angel named Lucifer. Pastor Jëan Ross: We have a study guide dealing with the subject of where did sin come from, where did Lucifer come from. Its entitled, "Did God Create the Devil?" We’ll send it to anyone wanting to learn more about this. Our resource line is 1-800-835-6747, and the study guide is entitled, "Did God Create the Devil?" Our next caller is calling all the way from New Zealand, Oakland. We have Ian on the line. Ian, welcome to the program. Pastor Doug Batchelor: Hey Ian? Can I interrupt you for a second? If you’ll hold right after our break, let’s go to your question. Would that be okay? Pastor Doug Batchelor: Thank you. Hey friends, you're listening to Bible Answers Live. We are going to take a quick break. Pastor Jëan Ross: You know Pastor Doug, just before we--Ian, stay on the line. We’ll get to you in just a minute. But just before we do, we are going to have our half program break here with some important announcements. While we wait for that, Pastor Doug, we want to let some folks know about our brand new Amazing Facts' Website that has just been recently released. Pastor Jëan Ross: Yes, two years. 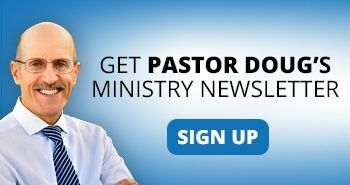 Pastor Doug Batchelor: ...many years, and you just got to go friends and take a look if you haven’t been there lately, AmazingFacts.org. You’ll get there if you type in AmazingFacts.com. The structure, its got access to so many more resources; and the multimedia, there are hundreds of different sermons available, radio programs, a lot of free literature and a whole library. Take a look, AmazingFacts.org. We’ll be back in just a moment. Pastor Doug Batchelor: We are back friends and you are listening to Bible Answers Live. If you’ve joined us along the way this is a live, international, interactive Bible study. We do have a couple of lines still open if you'd like to call in with a Bible question. That number in North America is 1-800-463-7297. My name is Doug Batchelor. Pastor Jëan Ross: My name is Jëan Ross and we were talking with Ian just before the break. Ian, you are on the air. Ian: So my question is, is the seventh-day Sabbath, which is found between or after the Preparation Day and Thursday of the week, can it ever be on the first day of the week, and if so, is there biblical support for this? Pastor Doug Batchelor: Alright. Ian, we're going to bring your volume down. I appreciate that. I think you're getting some digital breakup and so we are missing a word here and there, but I think I got the gist of your question. I’m going to do my best to restate it. The days of the week, I think everybody knows if you are flying around the world that there is a point where you could travel three feet and go from one day to the next. Matter of fact, I missed an entire birthday because I took off once on March 8th and I landed on March 10th. My birthday is March 9th so I really claim to be younger than I am. Pastor Doug Batchelor: So they've recently--and they’ve done it other times in history--they moved that dateline around some islands such as Samoa, American Samoa in the South Pacific there; and they just sort of declared that what used to be Monday is now Tuesday and what may have been Saturday is now Sunday. What does that do with Sabbath-keepers? Well first thing I’d say is whatever problem a Sabbath-keeper might have, whether you go to church on Saturday or Sunday, they’ve all got the same problem, if you see what I’m saying. So I would say whatever that day is declared to be by your neighbors that are surrounding you, you want to observe that because it can be really confusing in any culture. If you’ve got one group in the neighborhood on the city block and they say, "Today is Saturday,” and the other group says, “No its not. Today is Sunday." Well they moved it and you can got bonkers thinking like that. So, I would stick with whatever the community is doing, otherwise you end up with one group that says, "We keep the Sabbath on the seventh day," and they end up going to church same day as the ones that say, "We keep it on the first day." And they're just calling it different things but they're keeping it the same day. So it is a dilemma. This is a real conundrum and I’ve talked to some of our friends from Samoa that struggle with that. How do you deal with that? So, that’s my thoughts. I don’t know if you’ve got a thought on that Pastor Ross. Pastor Doug Batchelor: How do you keep the Sabbath on the space shuttle or the space station? There’s not the shuttle anymore but the international space station [chuckles]. Pastor Doug Batchelor: Every 22 minutes you go around the earth. That would be a day wouldn’t it? You could have a very short week. Pastor Doug Batchelor: Yeah, have a lot of worship services. Pastor Jëan Ross: ...and they're not quite sure; "Well how does that work out?" Pastor Doug Batchelor: Sun never goes down if you’re up in Barrow, Alaska. Pastor Jëan Ross: Yeah, so how do you know your Sabbath day? Pastor Jëan Ross: Just base sometime. It means Sabbath is not a church’s idea. It's God’s idea. So it doesn’t matter what day of the week it is. You're still going to have these same issues and you just use the practical solutions. Pastor Jëan Ross: We have a study guide dealing with the subject of the Sabbath. It’s called, The Lost Day of History. We’ll send that to anyone just for the asking. It’s 1-800-835-6747. You can ask for the study guide, The Lost Day Of History. Pastor Doug Batchelor: I want to thank Ian for calling. He called all the way from New Zealand. I haven’t had a call from there in awhile. I think it’s a long way for a signal to travel. We were getting some breakup there. Pastor Jëan Ross: Our next caller is Lee and Lee is calling from Honolulu, Hawaii. Lee, welcome to the program. Lee: ...and contradiction. When people argue about the Sabbath and clean and unclean food, the Bible says God is not the author of confusion. So they kept arguing about this and some people have been arguing for 20 years. Well what are they doing? Pastor Doug Batchelor: Well it is, unfortunately, when people are not united in their Bible doctrines. I think Paul said in the New Testament that if people come to you and they're teaching things that can’t be supported from Scripture, don’t invite them into your group because they're just going to bring division. But that doesn’t mean that we're not to explore difficult subjects, or even unpopular subjects. They need to be Scriptural subjects. You know, if a person has been believing something that is wrong and then someone introduces light, it may seem confusing when they first hear it. And any missionary that has gone out into the mission field, when people are first being exposed to the principles of truth, there might be a period of confusion as they break away from some of their pagan ideas. So,--and that can happen even among Christians, where when you're learning something new for the first time there can be a period of, kind of, bewilderment for awhile. But that doesn’t mean it’s not true or it shouldn’t be considered. I don’t think we ought to be divisive. Lee: When the Bible says that something is unclean and then it turns on and says all things are clean and then people start arguing about it, what is that? Confusion? What do you call it? What is the name? What are they doing? Lee: God made all things clean. Pastor Doug Batchelor: Well, where does Jesus say that He has made all things clean? Are you talking about that New International Version Mark chapter 7? Lee: I thought I saw it in the King James Version. Our God made all things clean. Pastor Doug Batchelor: No. There is one verse that's in parenthesis in the New International Version and it’s talking about washing of hands. It says, "In saying this, Jesus declared all foods clean," and that’s not in the original manuscript. It’s not in the King James and the New King James. Pastor Jëan Ross: It was added by translators, I think, to try and give context but that’s not accurate to the original text. Pastor Doug Batchelor: Then you have to ask yourself, "Was Jesus saying that it’s okay now for us to eat skunks, vultures and cockroaches?" I mean, obviously that’s not God’s plan. Your body is the temple of the Holy Spirit. I know those things might bring in some confusion when people hear the truth, and you don’t want to see any church divided over those issues. You know, if you’ve not seen the Amazing Facts' Study Guide on this subject, it addresses the very questions you're asking. After reading that study guide I’m not confused on the subject. It’s very clear to me. I’ve been living by it and feeling a lot better about it for many years. It’s called, God’s Free Health Plan, what does the Bible say about food and does the Bible specify anything about food, both New and Old Testament? God’s Free Health Plan. We’ll send it to you for free Lee. By the way Lee, can I ask you a question? Lee: I got the Amazing Facts' series. Pastor Doug Batchelor: You did? Can I ask you a question? Lee: I have them. I pushed the Amazing Facts' series. Pastor Doug Batchelor: Well I appreciate that. Did that lesson that you studied make sense to you? Lee: Sure. It makes sense to me but some people, well they don’t even want to look at me. Lee: The seventh day as the Sabbath, and the Bible turns right around and says if somebody thinks that Monday is the Sabbath, it’s okay. If they think Tuesday is the Sabbath, that’s okay. That's confusion. Pastor Doug Batchelor: I’ve never heard any pastor from any denomination stand up in church and say, “Folks, you just show up any day you want next week. Whatever day you want is okay.” I mean God is pretty specific that He blesses and sets aside and sanctifies a specific day. Otherwise that would cause chaos in the church, if everyone sort of show up any day they wanted and there was no Sabbath day, there was no day of rest, no time of corporate worship. Anyway, all right. Well, we're going to take another question but I hope that helped a little bit Lee. We thank you for calling. Pastor Jëan Ross: Our next caller is Kevin and he is listening from Martinsburg. Kevin, welcome to the program. Pastor Doug Batchelor: Kevin, are you there? Kevin: Hi Pastors, good evening. How are you tonight? Yes, I’m here. How are you? Pastor Doug Batchelor: Good. Your question? Kevin: I’m also dealing with the seventh-day Sabbath. I’m witnessing to a brother that I’m forming a music ministry with and I’ve been keeping the seventh-day Sabbath for 20 years. He sees it as more of a command to rest. He says he doesn't see the command to worship on the seventh day. So he believes that Saturday is the Sabbath, but he believes that he can still worship on Sunday and that's acceptable. I was wondering if you could help me with that? Pastor Doug Batchelor: Yeah, well maybe a little bit. First of all, we should worship God every day. I mean, we should be having time with God all the time. But there is a time God specifies for what we call corporate worship. You can read in Leviticus 23. It says that, "Six days," verse 3, "six days shall work be done: but the seventh day is the sabbath of rest, a holy convocation." The word "convocation" is where we get the word "to convene" or "convention," "assembly." God's people were to come together and corporately worship Him, and He tells us what day that is. He says, "I've blessed a specific day.“ It's there in Genesis chapter 2, second chapter of the Bible. Three times God says, "The seventh day, the seventh day, the seventh day." And then you get the Ten Commandments. It says, "I blessed the seventh day." God is telling us what the day is. We don't pick our own day. So yeah, we should worship God for our private devotions all the time. But a day of physical rest and corporate worship, God has picked that day. Pastor Jëan Ross: Now some people might say, "Well I choose to rest on some other day and that becomes my sabbath." But you know what's interesting, the Bible tells us to work for six days and to rest for one. If somebody is resting everyday, they're being lazy. They're not really worshipping. Pastor Doug Batchelor: Yeah, it's not holy. Pastor Jëan Ross: Yes, that's right. Pastor Doug Batchelor: So hope that helps a little bit Kevin. We do have our study guide on The Lost Day of History. We'll send you a free copy if you just go to the Amazing Facts' website or call the resource number. Pastor Jëan Ross: The number is 1-800-835-6747. You just can ask for the study guide, The Lost Day of History, or you can go to the Amazing Facts' website, AmazingFacts.org. We have Roger listening in Arkansas. Roger, welcome to the program. Pastor Doug Batchelor: Hi, how are you doing? Roger: I'm going to talk about something besides the Sabbath. Pastor Doug Batchelor: Their ages. Roger: ...how long they lived in the Bible. Pastor Doug Batchelor: Wow! You know, it’s amazing you would ask that. We've been doing just in-depth study on the Bible chronology. You may have heard us refer to that tonight. Amazing Facts is doing a prophecy Bible timeline. We're going from creation and just getting all the dates, doing a lot of research, getting the best scholarship we can in building this timeline. And there's a 430 year period that is mentioned. Have you run into that? Roger: Well, I guess I have accidentally. Pastor Doug Batchelor: Okay. That has caused some confusion. The 430 years is not talking about when they began their time in Egypt. It's going back to when God told Abraham that your people are going to be enslaved in a strange land, then it starts to all fit together and make sense. I've got some of the dates and ages in my head for Levi and his sons, Kohath, and Amram and Jochebed; and then of course, Moses, Aaron, Miriam, it tells all their ages. There are a couple of blank spots, but you can sometimes just extrapolate by looking at the averages of the other patriarchs and get a pretty close estimate of the time. I don't think you're off that much. The time when children of Israel came back into Canaan is I think 1,446 B.C. So the Judges really commence after the death of Joshua with Othniel. Pastor Jëan Ross: Typically, the book of Judges spans the period of about, as Pastor Doug mentioned, 1,400 B.C. through to about 1,050 B.C. So, about 450 years. Pastor Doug Batchelor: Keep checking with us. We're going to release that Bible timeline pretty soon and you're going to enjoy that Roger. Roger: I'll be looking forward to it. Pastor Doug Batchelor: Hey, thanks for your call. You just confirmed that a lot of people are studying these things. Pastor Jëan Ross: Our next caller is Kelly and she is calling from New York. Kelly, welcome to the program. Pastor Doug Batchelor: Now you said it's Ezekiel 37. What verses again? Kelly: 16 through 19. It talks about Joseph and sticks to Joseph, and then it sticks to Ephraim, you know. Anyway, I want to know about, even though Ephraim is a Gentile nation, they're going to go through everything the Jews went through. I don't know, I don't think, I mean, they might not get anymore time because the Gentiles, you know, Ephraim. But tell me a little more background about Ephraim you know. A friend of mine caught up with a lot of stuff you know. He's been running from the truth for about 14 months now [unintelligible]. Pastor Doug Batchelor: Alright. Let me do my best to try and give you some quick answers on this. First, you've got to go back. Joseph, while he was in Egypt separated from Jacob and his brothers because they had sold him, he had two boys. He had Ephraim and Manasseh. Manasseh, I think, was first and then Ephraim was second but Ephraim, the younger, ended up being the bigger of the two tribes. Ephraim was so big that when the kingdom of Israel split during the time of Rehoboam, the son of King Solomon was Rehoboam, and the kingdom split. You had the tribes of David and Judah, Levi and Benjamin. They were in the south. They were called the southern kingdom. Then the other ten tribes in the north were called Israel, or the northern kingdom. Later they called them Ephraim. Because Ephraim was such a big territory and they were such a big tribe, they would summarize the other ten tribes by calling them Ephraim. So in this prophecy of Ezekiel, he's talking about the southern kingdom, Judah; the northern kingdom, Ephraim. Ephraim really means the "ten tribes," and that there would be a time when they, even though Ephraim was carried off to Assyria and Judah was carried off to Babylon, he basically says, "Take these sticks." They used to make covenants where they would take a stick and they would split it, and the only way that you could fulfil this covenant is two people would have one half of the split stick. They would never match with any other stick like a fingerprint but the one that it was split off of, and you put them back together again and the covenant was fulfilled. God was saying that He was going to rejoin Ephraim, the northern kingdom and Judah so they would become one people again. It says here in verse 37:22, "Neither shall they be divided into two kingdoms anymore at all. 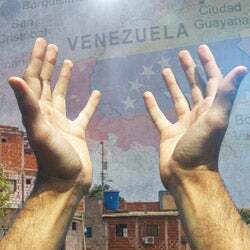 Neither shall they defile themselves anymore with idols or detestable things.” So it's talking about a revival would happen and that eventually God's people would be one again. That's a big chapter and that's a quick answer, so I hope that helps a little bit Kelly and we thank you for your call. Hope you're not going to get too saturated from the storm coming through the eastern seaboard right now. God bless. Pastor Jëan Ross: Our next call is Emmanuel and he's calling from New Mexico listening on the Internet. Emmanuel, welcome to the program. Emmanuel: Hey how's it going Pastor Doug, Pastor Ross? Pastor Doug Batchelor: I've been to Deming, New Mexico. I know where you are. Pastor Doug Batchelor: Yeah, many times. And your question? Emmanuel: That’s good. My question was about the Scripture in Leviticus chapter 11, verse 7, and it says, "And the swine, though it divides the hoof and having cloven hooves, yet does not chew the cud, is unclean to you." Emmanuel: I shared it with a friend about unclean foods and they told me that it was only for ancient Israel. Pastor Doug Batchelor: Well, do you want me give you a little answer on that? Emmanuel: Yeah, yes sir, sure. 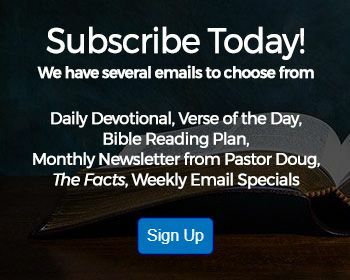 Pastor Doug Batchelor: Well, first of all, that wouldn't be Biblical because God makes a distinction between clean and unclean animals, and Pastor Ross is going to find a verse about Noah. Pastor Jëan Ross: God made a distinction between clean and unclean animals back in the days of Noah. Pastor Doug Batchelor: Now here's a question: Was Noah Jewish? Pastor Doug Batchelor: Yup. Noah wasn't circumcised, he wasn't Jewish, and everybody in the world today is related to Noah. So if Noah is making a distinction between clean and unclean animals, then it's really not accurate to say that was a Jewish law. Pastor Jëan Ross: That's Genesis chapter 7, verse 2 and verse 8, and then chapter 8, verse 20. Pastor Doug Batchelor: We always hear about how he brought the animals in the ark two by two and that's actually inaccurate. The unclean animals were brought in the ark two by two. The clean animals were brought by sevens because, for one thing, some of them were going to be used as a sacrifice immediately following the flood and they'd be extinct. But only clean animals could be eaten, only clean animals could be sacrificed; and today, modern science bares out in industrial strength that probably one of the most unhealthy meats that a person could eat is pork, is pig meat, swine flesh. It's just swarming with parasites and pigs are scavengers. They eat garbage and their bodies store toxins. So yeah, it’s not a Jewish law, Muslims around the world and many other people, they won't touch pork because they know that it's--I used to eat a lot of pork. While it may taste good, they are not healthy animals and it’s certainly not God's plan for us to eat any scavengers. Dogs are scavengers and catfish are scavengers and clams are scavengers, and they're made by God to help clean the environment. They're not to be our food. Emmanuel: What were the Scriptures again? Genesis? Pastor Jëan Ross: Genesis chapter 2 and verse 7. Pastor Jëan Ross: Yes, it's Genesis chapter 7, verse 2; and then Genesis 8:20; and also verse 8 of Genesis 7. Pastor Doug Batchelor: By the way, we can send you that study guide that we referenced. It's called, God's Free Health Plan. That has all these references in it. At the Amazing Facts' website I do a couple of messages where I talk specifically about health and we invite you to just go to AmazingFacts.org. Check out the brand new Amazing Facts' website and send the link to your friends while you're at it. Pastor Jëan Ross: You know Emmanuel, we've got a book that I think you might enjoy. I just like the title of the book. It's called, Hogs & Other Hazards [chuckles]. Pastor Doug Batchelor: Ooh that would be a good one. Pastor Jëan Ross: We'll send it to you for free if you call our resource line. Its 1-800-835-6747. Ask for the book entitled, Hogs & Other Hazards, and we'll send it out to you. Pastor Doug Batchelor: Good. Two and a half minutes. Can we do one more? Pastor Jëan Ross: Sure. Let's see if we can get Marx. He's calling from Orlando, Florida. Marx, welcome to the program. Marx: Yes, I have a question about baptism? Marx: If a mentally ill person wants to get baptized, what do you think the pastor of that person should do in this case? Pastor Doug Batchelor: That's a good question. I had someone ask me that question this week because I spoke about baptism and somebody was handicapped. Their handicap gave them a childlike understanding of the Gospel, but it was pretty simple and the parents were apprehensive, even though this person was an adult. Because of their handicap, they just would never mature beyond a seven or eight year old. And I said, "Look, if it's going to bring you peace and if the individual is interested, you wouldn't want to do anything that's going to make them nervous or scare them. By all means do it, and the Lord will accept them for what they have." You know, there are criteria for baptism, it's believing. If they can believe with this childlike faith, and there should be some instruction. It doesn't mean they need to understand everything, but if they can understand the big pieces of the Gospel, that Jesus died for them and for their mistakes and their sins, and if they have the essence of devotional life--can they pray and have some sort of relationship with God. If they can believe and do those things, then those are the Bible criteria. Pastor Jëan Ross: And you know, as you say Pastor Doug, it's never wrong to follow the example of Jesus. If somebody wants to do that, if there's willingness, I'd encourage that. God can speak to the heart and we don't know what or how much they can understand. That's God's work. Pastor Doug Batchelor: That's right. Thank you for that question Marx. We appreciate that. For our listening friends, it just wouldn't be fair to you if we were to take another question. So allow me--just want to remind you that we sure appreciate everybody tuning in to Amazing Facts. Go to the website. We have a lot more resources available there 24 hours a day, and that's at AmazingFacts.org. Keep us on the air. We appreciate anything you can do to help us keep the broadcast going where others can listen. Just click where it says Contact Us and you can make a donation online. So thank you so much. God bless you until next week.